Today's been a fairly busy day for Google's mobile software. The big roll-out of Android 6.0.1 Marshmallow has commenced, with the search giant's Nexus range being first in line as is so frequently the case. Now, the official factory images are available for a number of the more recent Nexus models, so if you don't want to wait the endless wait for an over-the-air notification, you can take the manual route to get updated in a more timely fashion. As we noted previously, the main attraction of this update is the support for more than 200 new emoji characters. There are a couple of other, minor adjustments besides, but unless you're in the hunt for some new emoji icons, there's not much else to see here. There's no real word on when other handsets will get to join the party, although the HTC One M9 should be shown some love before the year's end. Given that Android 6.0 Marshmallow's reach scarcely exceeds that of the five-year-old Android (2.2!) Froyo, there will be plenty of disgruntled onlookers, and the way things are moving, owners of some devices could be looking at an indefinite wait for that cherished OTA. For now, you can grab the requisite factory image for your device at the source, and if you do happen to indulge, let us know how you get on via the comments. Seriously? 6.0 is on less than 1% of devices and they're already moving to 6.0.1? It's a damn shame. That's why I always stick with Nexus devices. I hope Samsung does a better job of cleaning up touchwiz and handing out timely updates with the next Galaxy phones. What are you talking about? It's on almost 100% of Nexus devices. Just because the rest of the OEMs can't keep up doesn't mean that Google must sit idly by twiddling its thumbs. If they have an update they're going to release it. At least you're on a Moto X Pure edition. 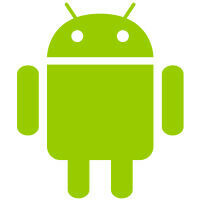 You'll have the update before 99% of the Android market. Yes, I know that you're a drama queen that demands everything now, but being a big puss about not getting your way isn't going to speed things up. My crappy Android One got 6.0.1 before the S6, Z5, and A9 and that's the only bragging rights my phone has.